Thanks to InPowerWomen for the tip! “Between 23 July – 3 August 2012, a dynamic online discussion will bring together Civil Society Organisations and experts who work on violence against women around the world. By checking in online during the two weeks, they will answer questions and share thoughts on best practices, gaps and challenges in this field. “Findings from these inputs will be used by UN Women to inform two UN Secretary-General’s reports for the 57th Commission on the Status of Women and guide the discussion of CSW members. They will also be published online in a report on the key themes of the discussion. 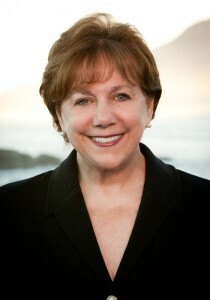 “‎’Women frequently face cultural barriers and discrimination in moving into leadership positions, and it is very helpful have experienced role models and mentors who can provide guidance and encouragement.’ – Ann Veneman, former Executive Director of UNICEF and former U.S. Secretary of Agriculture, on the importance of mentorship in the developing world.